The Centre on Sunday notified the appointment of Chief Justices for Telangana & Andhra Pradesh High Court and Chhattisgarh High Court. The notification confirms the long-standing recommendation to appoint Justice T.B. 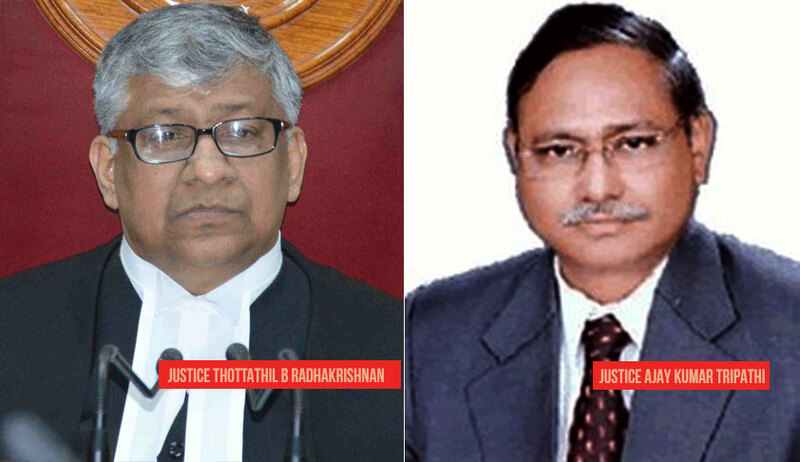 Radhakrishnan as the Chief Justice of Telangana & Andhra Pradesh High Court, and Justice Ajay Kumar Tripathi as the Chief Justice of Chhattisgarh high Court. The Collegium had, way back in January, recommended the appointment of Justice Radhakrishnan, who is currently the Chief Justice for Chhattisgarh High Court. In the resolution for appointment of Justice Tripathi, which was issued the same day, the Collegium had taken note of the fact that the office of the Chief Justice of Chhattisgarh High Court would be falling vacant consequent to the transfer of Justice Radhakrishnan to the Telangana and Andhra Pradesh High Court.